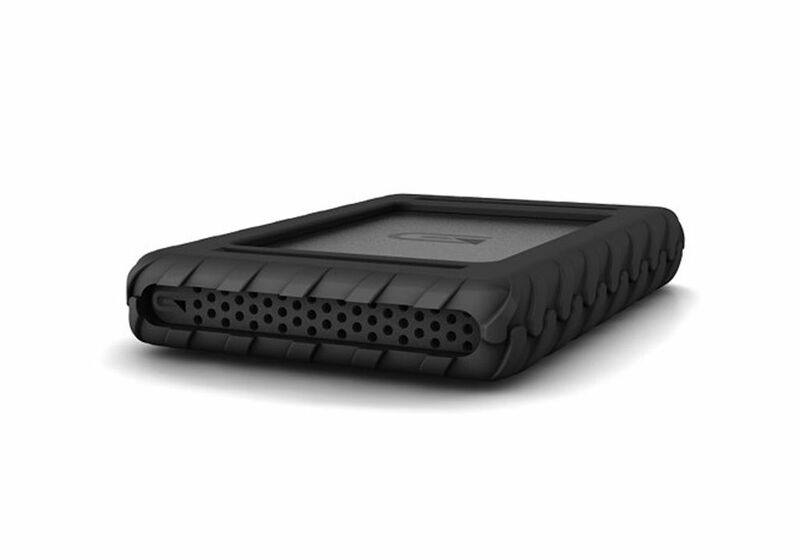 Sporting USB 3.1 Type-C connectivity, the bus-powered 1TB Blackbox Plus 7200 rpm USB 3.1 Type-C External Hard Drive from Glyph Technologies can easily be plugged into nearly any Windows or Mac based computer without the need for an external power source. In addition to USB 3.1 Type-C compatibility, the Blackbox Plus also supports Thunderbolt 3 connectivity, making it both rugged and versatile. Once connected, this hard drive supports data transfer rates of up to 140 MB/s to enhance workflows and transfer important files to and from the drive quickly and efficiently. Once files are stored, the Blackbox Plus can be taken with you out into the field, as its rubber housing helps to protect against the elements. The Blackbox Plus comes formatted for Mac and may be used with Windows after a simple reformat. Included with this drive is a USB 3.1 Type-C to USB 3.1 Type-C cable and a USB 3.1 Type-C to USB 3.0/2.0 Type-A cable. Protection is provided by a limited 1-year advanced replacement warranty, a limited 2-year level 1 data recovery warranty, and a limited 3-year hardware warranty.